Crowell Construction is a custom fine homebuilding company that provides best-in-class building, design, and maintenance services in Maine to clients from around the world. Crowell Construction welcomes the opportunity to work with architects, bringing their plans to fruition. For customers who choose otherwise, Crowell Construction has over 40 years of experience designing custom homes, tailored to each client’s unique needs and complementing their lifestyles. From developing an initial site plan to the final set of finish drawings, design work encompasses a broad range of styles and includes all aspects of construction from exterior finish detail to custom kitchens and cabinetry. Crowell Construction also works hand-in-hand with clients and other stakeholders to develop a timeline and plan based on the client’s needs and budget. Crowell Construction’s in-house crew includes seasoned professional craftsman that take pride in every step of the project. From framing, to laying floors, custom cabinetry, and millwork, Crowell Construction consistently exceeds the highest of standards that their clients have come to expect and appreciate. Crowell Construction welcomes the opportunity to transform homes to meet their clients’ changing needs. 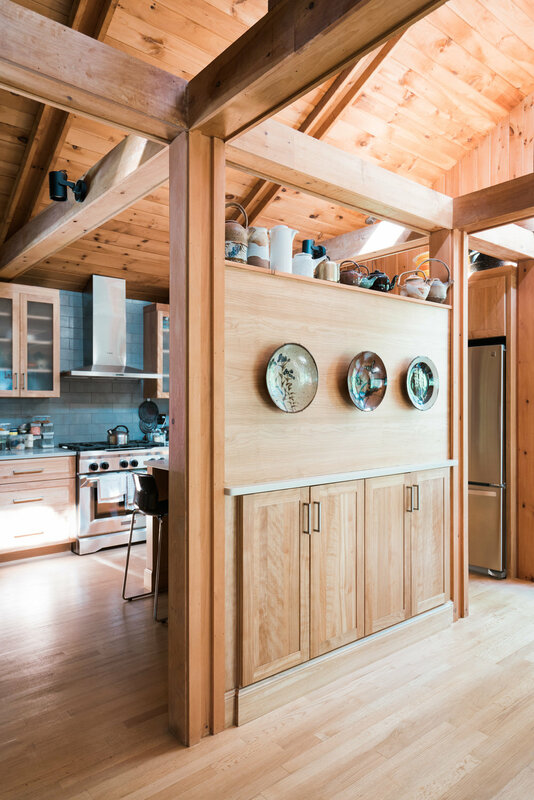 The possibilities for renovations are limitless, from raising the roof to updating a kitchen. Crowell Construction is delighted to offer a free consultation to potential clients who are considering home renovations. Crowell Construction provides a full range of landscaping services including building pathways, patios, and stone walls (retaining and/or decorative); designing, planting, and maintaining flower and vegetable gardens; planting trees and shrubs; and providing lawn care services. Crowell Construction also provides year round caretaking services, including installing and removing dock systems, mowing lawns, snow removal, and services to ensure the safety and security of your home. Crowell Construction has provided design, consultation and construction services for community projects, such as the Shawn T. Mansfield Stadium in Bangor, a steeple repair on the Lovell Brick Church, renovations to the South Paris and Charlotte Hobbs Memorial libraries, and the restoration of the Lovell Historical Society Building.